Item # 315962 Stash Points: 2,995 (?) This is the number of points you get in The Zumiez Stash for purchasing this item. Stash points are redeemable for exclusive rewards only available to Zumiez Stash members. To redeem your points check out the rewards catalog on thestash.zumiez.com. 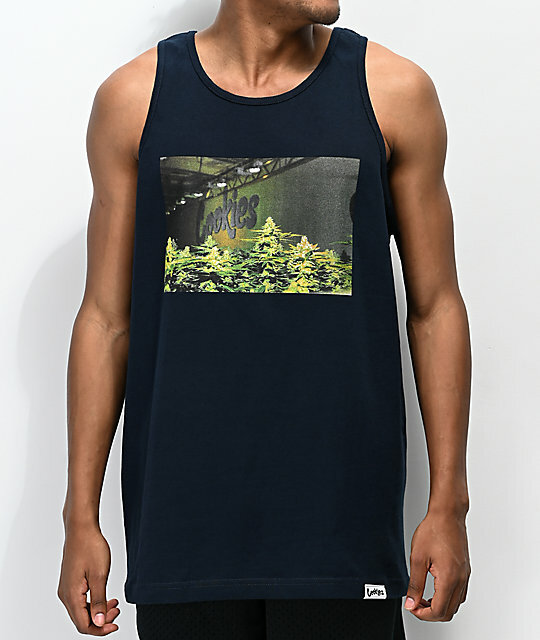 For a look that celebrates your favorite plant, pick up the Headshot Navy Blue Tank Top from Cookies. 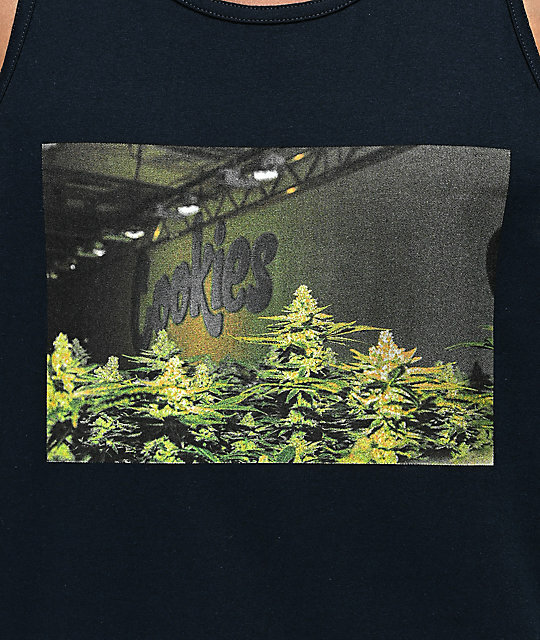 This navy blue tank top features screen-printed graphics at the chest of budding marijuana plants, along with the Cookies logo in the background. A tag-free neckline and relaxed fit makes this design perfect for when the temps heat up. Headshot Navy Blue Tank Top from Cookies.